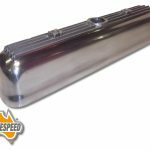 Aussiespeed reproduction 7 fin Valiant charger 215,245,265 Hemi aluminum valve cover. 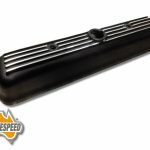 This cover has the lug at the rear of the cover to hold the cable for triple weber carbs. 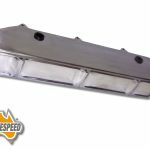 The cover has cast in breather shrouds and is supplied with both breather cap and pcv valve grommets The Valve cover has an internal height of 85mm . Overall height externally is 94mm to the top of the fins. 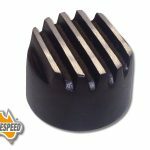 Aussiespeed can also supply a kit that includes silver socket head bolts, spring & flat washers. 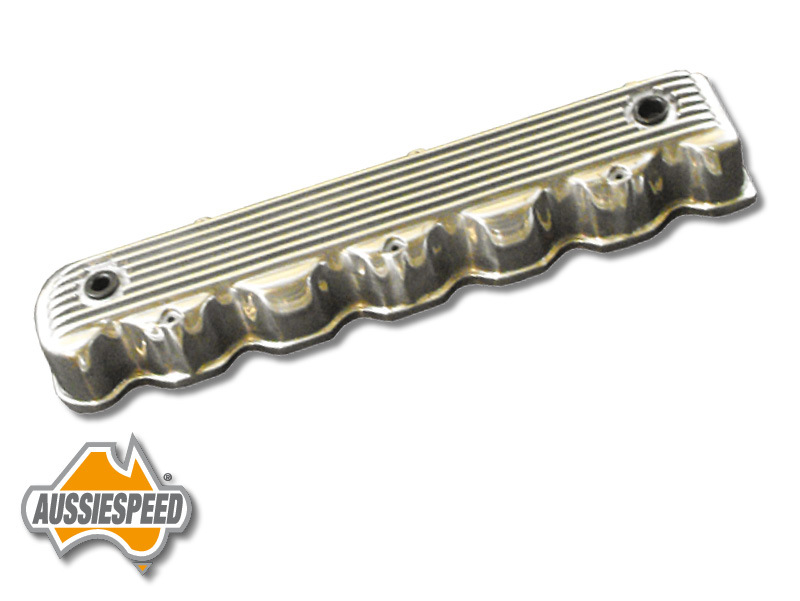 This cover is supplied with a high polished finish.Please note all our rocker covers are sand cast aluminum. There may be some pitting in the casting. 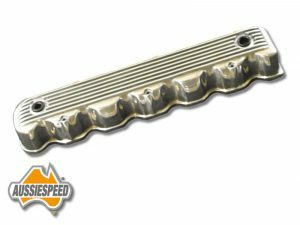 Be sure to check out the matching side plate or the kit deal part of the shop.